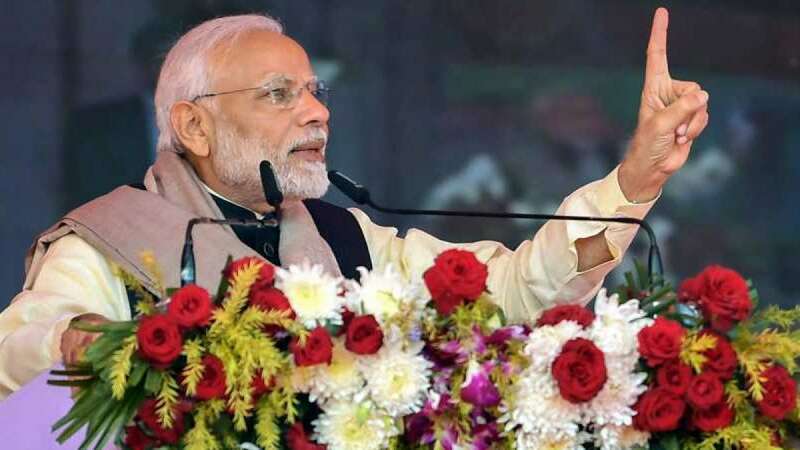 Rae Bareli (Uttar Pradesh : Prime Minister Narendra Modi on Sunday accused the Congress of aiding those who he said want to weaken the Indian Army and raising questions over the government and even the Supreme Court over Rafale fighter jets. "Today, there are two camps in the country. One is the government that is trying to strengthen our Army. The other wants to weaken our Army at any cost," Modi said, flagging off the 900th coach of Modern Rail Factory and a Humsafar Rake in Rae Bareli, UPA Chairperson Sonia Gandhi's Lok Sabha constituency. "The country has been witnessing that the Congress stands by those powers who don't want our armed forces to be strengthened," he added, in an obvious reference to Sonia Gandhi's son and Congress President Rahul Gandhi who has been accusing corruption in the Rafale jet deal with France. The Prime Minister said the country was watching "such people" who he added were "getting support of countries pitted against India". "What is the reason that people in Pakistan clap when some of our leaders speak?" The Prime Minister pointedly accused the Congress of raising questions over the dignity of the Defence Ministry, Defence Minister Nirmala Sitharaman, Air Force, France and the Supreme Court over the purchase of Rafale jet aircraft. "Some people only accept lies and speak lies. For them the country's Defence Ministry, Defence Minster and Air Force officers are liars. The French government is also a liar. Now, the country's Supreme Court is also a liar for them. "But truth does not need 'shringaar' and lies will always die. The country will never forgive the Congress over its attitude towards the Army." Again, the Prime Minister said "some people" felt ashamed of shouting "Bharat Mata ki Jai". "What kind of people are they who do not care about the country? I know that they want to abuse Modi. They want to frame Modi for corruption. But I want to know why they have put the country's pride at stake for this? Why is national security being put on stake?"